We have the experience, expertise, & parts needed to bring your iPhone 5 back to life. We offer iPhone 5 screen replacements for just $89, often while-you-wait, sourcing only the highest-quality parts available at all our Perth stores. While iPhone 5 screen replacements are the most common repairs we perform, other problems can also creep up from battery replacements to charger port repairs. Thankfully our mobile repair Ninjas have you covered, having repaired over 30,000 devices since 2009! Sick of using your iPhone 5 with broken glass? Our stores are located across Perth, Western Australia, so we’re never too far away. We offer our price beat guarantee, find a cheaper price in Perth WA & we’ll beat it on all repairs, so we’re one of the most affordable services as well. So whatever iPhone 5 repair you need, Phone Ninja has the answer. If a professional, and on-the-spot service sounds good, then drop down to any of our stores in Perth West Australia for more information. The iPhone 5 has a fused screen meaning the touch screen is secured to the LCD. Most other repairers use a method which allows them to separate the assembly and then refuse the digitizer (touch) & LCD back together. Thankfully we don’t have to do this as our trusted suppliers provide high quality pre-fused screens at very affordable prices, meaning you’ll get a more professional finish than those who have to refurbish screens. These repairs are often done on the spot, so what are you waiting for? Turn the device off immediately; using the device until it stops working is a bad idea. DO NOT charge a water damaged device! Thoroughly wipe down the mobile with a towel. Drop down to a repair shop like ours to have the internal components ultrasonically cleaned. Sadly, you cannot remove the battery on an iPhone 5. Because of this, the electricity can create corrosion and quickly eat away at the circuitry of the phone! So when it comes to water damage, don’t delay, get down to our store as soon as you can! 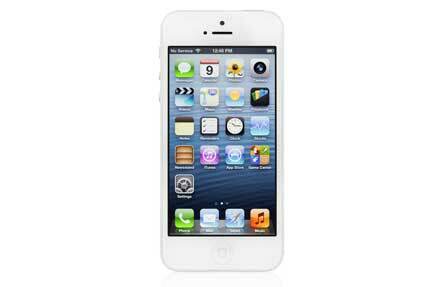 iPhone 5 repairs are best left to the experts, this is especially true for battery related issues. A draining battery, not turning on, difficulty charging, or turning off randomly can all be issues that sometimes are battery related. Because of this you need troubleshooting by a professional to determine whether the battery is at fault, or another component is causing the issue. Thankfully batteries are easy to replace, so drop down to our store for a diagnosis and replacement. At Phone Ninja we repair everything from iTunes recovery loops, IOS error codes, to removing forgotten passwords. Software issues causing freezing at the Apple logo are also common and are easily fixed by one of our technicians. Whatever your software-related solution, we have the solution to your problem! We fix almost all issues with the iPhone 5 including microphone problems, power & volume button issues, and home button replacements which are usually required when the home button becomes intermittent or stops working completely. iPhone 5 charging issues are also a big problem, but thankfully in most cases only require replacing the charger port flex. For more information, look below in the pricing section. Apple’s first 4G LTE mobile, the iPhone 5, launched in Australia on September 21, 2012, less than a year after the 4S had hit the market. The mobile’s main selling point was an increase in screen size from 3.5-inch to 4-inch; a size Apple considered just right when compared to the Galaxy S3 and its comparatively massive 4.7-inch display. The other big selling point was the 4G LTE coverage with data network speeds reaching in some parts over 20 Mbps; over five times the speed of 4S’s 3G capabilities. Processing speeds were also boosted thanks to the Apple A6 processor, but sadly many were critical of the new Lightning data charger connector, a move that made old Apple docking stations and cables obsolete.